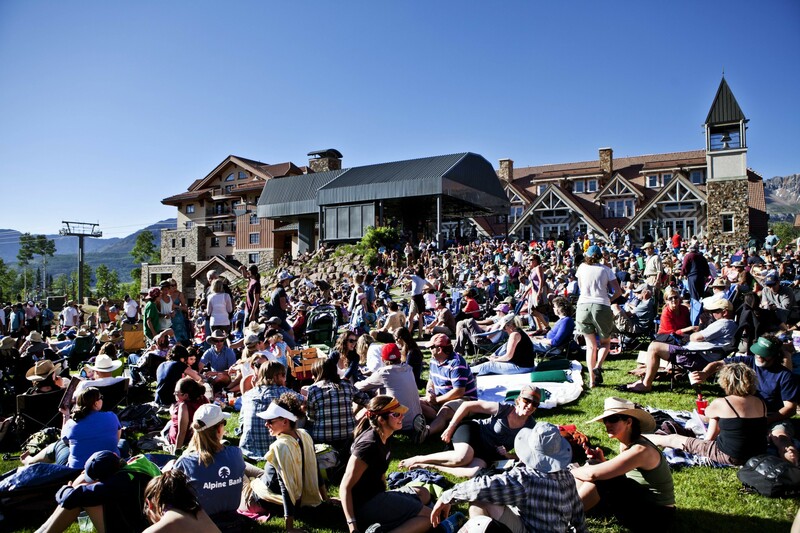 Starting mid-June, the Telluride Mountain Village Owners Association (TMVOA) will host another season of exceptional live music taking place every Wednesday at 6 p.m. in Mountain Village’s Sunset Plaza. Scheduled to coincide with a scenic sunset as the backdrop for each act’s two sets of music on the lawn near Lift 1 in Sunset Plaza, all nine shows are provided to the public free of charge by TMVOA, and supporting sponsors Wells Fargo Private Bank, Alpine Bank, Madeline Hotel and Residences, Sweetwater Brewing Company, Telluride Brewing Company, Rodney Strong Vineyards, KOTO FM Radio, Telluride Resort Lodging, Telluride Ski & Golf, Town of Mountain Village, The Peaks Resort & Spa, and The Market at Mountain Village. A returning feature of the event this year will be the Town of Mountain Village’s Entertainment District, allowing a fluid social atmosphere where alcoholic beverages purchased from attached restaurants can be taken into the Common Consumption Area and enjoyed during the concerts. Be sure to share your memories with us on Facebook, Instagram and Twitter. Sunset Concert Series is held mid-summer every Wednesday, June 26-Aug. 14, 2019 from 6 p.m. to 8 p.m. in Sunset Plaza, only steps away from the free gondola and adjacent to Heritage Plaza.